They might not be fighting crime, have a turbo boost button or have an awesome 80’s electronica soundtrack but self driving cars are edging closer and closer to the public and mass production. But unlike KITT they’re not quite ready to scream around a busy interstate at 150 MPH. While they probably could, Google’s latest accident report, complete with 3D Radar video, clear shows that it’s the other drivers on the road that are at fault here and not the Self Driving Lexus SUV’s rolling around Los Angeles. 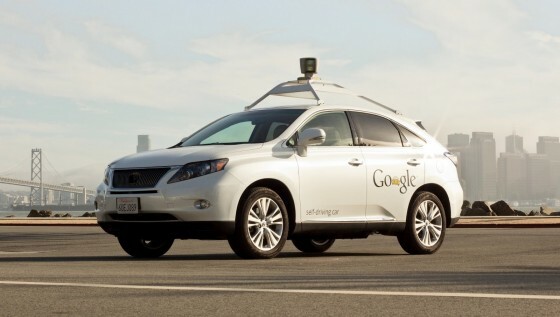 The first injury to result from a collision with a self driving car was reported by Google last Thursday as a distracted driver slammed into it at 17 MPH giving its three occupants minor whiplash. Unfortunately for the driver, the self driving SUV contained enough telemetry to conclusively prove it wasn’t at fault. Google’s Chris Urmson revealed that the Lexus SUVs are “being hit surprisingly often” by distracted drivers but have never been the fault of an accident themselves. Despite this, the self driving cars have a great track record as far as accidents go with only fourteen in six years and nearly two million miles covered. All those on board were released from hospital shortly after evaluation.